Welcome to The International Centre. We are one of the only privately owned trade and consumer show and conference facilities in Canada. We are proud of our over 45 year history of hosting memorable events and building long-lasting relationships with our Clients. The International Centre is proud to be the recipient of the M&IT Reader’s Choice Award. The International Centre has been recognized as the leading venue in Central Canada that exceeded Canadian meeting & event planners’ expectations! We do “Whatever it takes”. We make great events happen, whether it is a tradeshow for 5,000 or a meeting for 50. Our staff includes dedicated service professionals and an award-winning culinary team that are with you at every step. Our goal is to help make the entire planning process easy and stress-free, because we know that you want to enjoy your event too. For decades, The International Centre has been one of Canada’s only privately owned trade and consumer show exhibition facilities. When it first opened in 1972, the facility had 260,000 sq. ft. of exhibit space. Since then we’ve expanded to approximately 548,000 sq. ft., offering you an ideal mix of exhibit, meeting and special event services. Minutes from Toronto Pearson International, one of the largest airports in North America, The International Centre is closely linked to Canada’s aviation history. 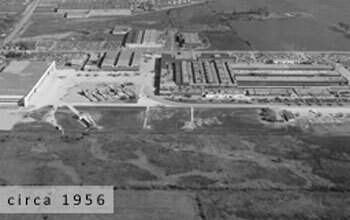 During the 1950s The International Centre site was used in the development of the AVRO Arrow, a technological marvel and part of Canada’s aviation lore. The site was purchased by a group of private investors from DeHavilland in 1971, which led to the development of its present use today, as a major multi-purpose facility. Having grown immensely in size and Client base, The International Centre today hosts over 450 shows and events each year. Since 1972 The International Centre has had a long history of hosting memorable events and building long-lasting relationships with our Clients. This video is a tribute to all our Clients, Attendees and Visitors who have been instrumental in making The International Centre one of Canada’s leading trade and consumer show and conference facilities.